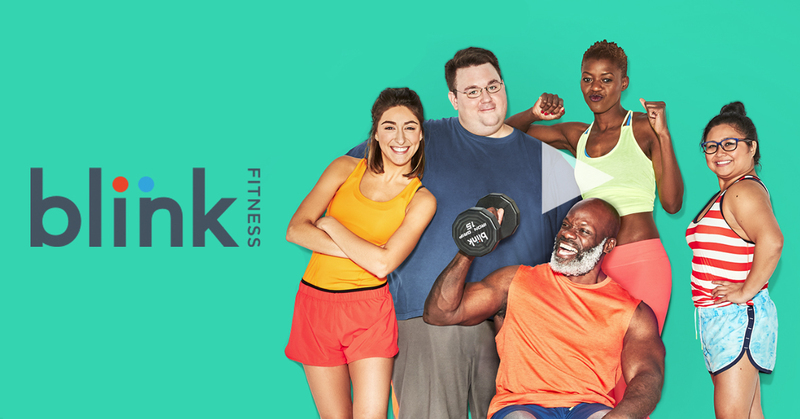 Blink Fitness launched in 2011 with a fresh philosophy of “Mood Above Muscle”. Early on, market research revealed a majority of Americans place more value on feeling good, rather than looking good – and traditional gym advertisements featuring picture perfect bodies were simply ineffective in reaching the target audience. Blink set out to reshape the conversation with relatable messaging, and an ingenious use of social media is putting the brand on the fast track to success. Popular New Year’s Resolutions to “be happier” and “get in shape” drive gym-related web searches every January. Fitness brands typically greet the newly-resolved with images of brawny athletes and slender models. Rarely is the real person depicted, and lacking connection, most experience a dramatic drop in activity within weeks. Blink Fitness takes a different approach. With 51 locations throughout New York and New Jersey, the company’s 2017 ad campaign features Blink’s own members – the result of a social media casting call powered by TwineSocial’s aggregation and display service. More than two thousand entries poured in on major social media networks. TwineSocial’s aggregation platform enabled Blink to collect and broadcast those submissions on large screens located in each gym’s Front Porch – an area where members gather to catch up, rest, and re-energize. The company’s website also showcased the user-generated content. In so doing, the project achieved two important objectives. Celebrity judges, Former NFL punter Steve Weatherford and actress Dascha Polanco, best known for her role in Orange is the New Black, ultimately narrowed the field to 16 finalists as “the new faces that we’re going to be seeing in 2017,” Silber said. 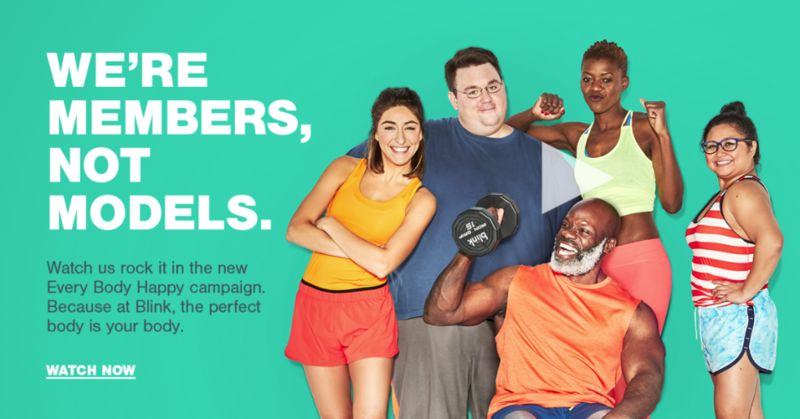 But the campaign also introduced a refreshing spirit of authenticity to the gym culture, building strong personal connections between the brand and its audience. 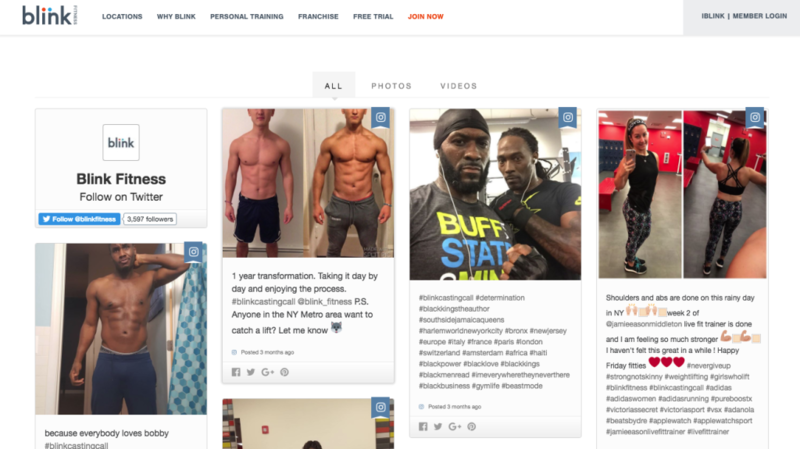 Inspired by the idea of a blink – the continual refreshing of one’s vision – the company continues to engage the fitness community with interactive social media campaigns. Because TwineSocial’s agency-level accounts allow brand managers to run projects concurrently, each campaign can be configured with unique design features, imported feeds, rules and filters, and user permissions. That means that even while inviting members to #FlexThatSmile or show how Blink makes #EveryBodyHappy, the marketing team can also launch short-term campaigns like #MondayWithoutMirrors – a month-long venture to help people think about fitness differently.